Andrew and I played Sushi Go with some friends back home and absolutely loved it! 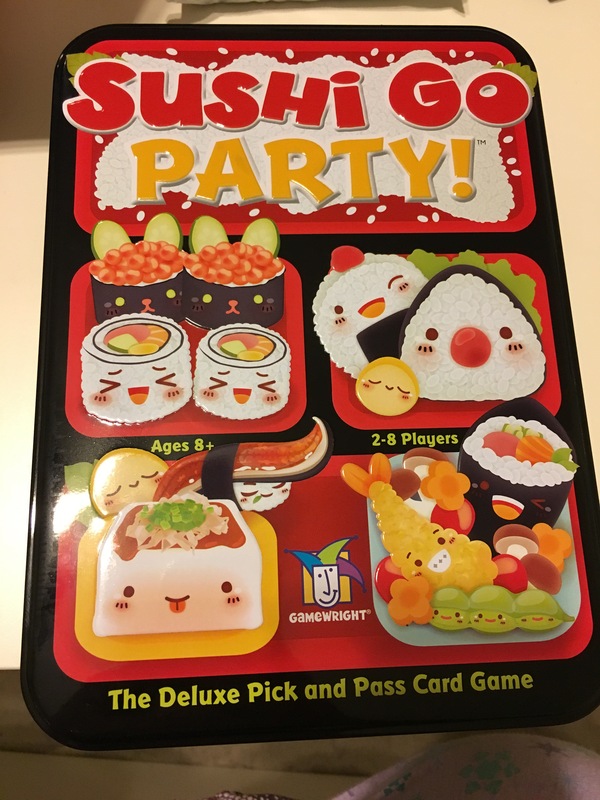 It’s like a weird combination of Rummy and go fish but super cute since it has pictures of sushi and other Japanese food! I definitely recommend it if you’re looking for a quick party game!